Psoriasis is a skin disorder that reacts differently for each person and can affect any part of your skin, but the most common is the scalp and it affecting individuals of all ages. Are you affected by psoriasis on your scalp? 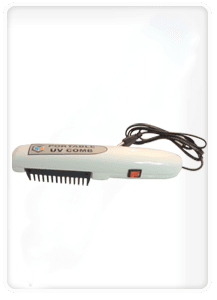 If you’re looking for the best and effective solution for psoriasis treatment then don’t look further than UV Comb. 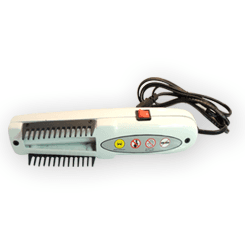 UV comb for scalp psoriasis prevents scalp itching and possible resulting hair loss. Scalp psoriasis treatment using UV comb is a great help to those who suffering. Psoriasis is a non-contagious skin disease. If you are searching for relief from scalp psoriasis then there are many number of ways to treat scalp psoriasis and the most effective one is the UV Comb. Yes, scalp psoriasis can be effectively reduced through the usage of UV Comb which leaves you scratching your head and make you feel more relief. UV comb for scalp psoriasis is the more effective treatment than previous methods. Clinical studies have shown that ultraviolet light therapy is known to be highly effective for many skin disorders especially for scalp psoriasis. It is a new way to treat psoriasis in which when UV light is applied to the scalp, it penetrates the skin and diminish the growth of affected cells. It target the specific area where you have psoriasis outbreak.